Happy bank holiday Book Monster followers. I have some delectable picture books for you. 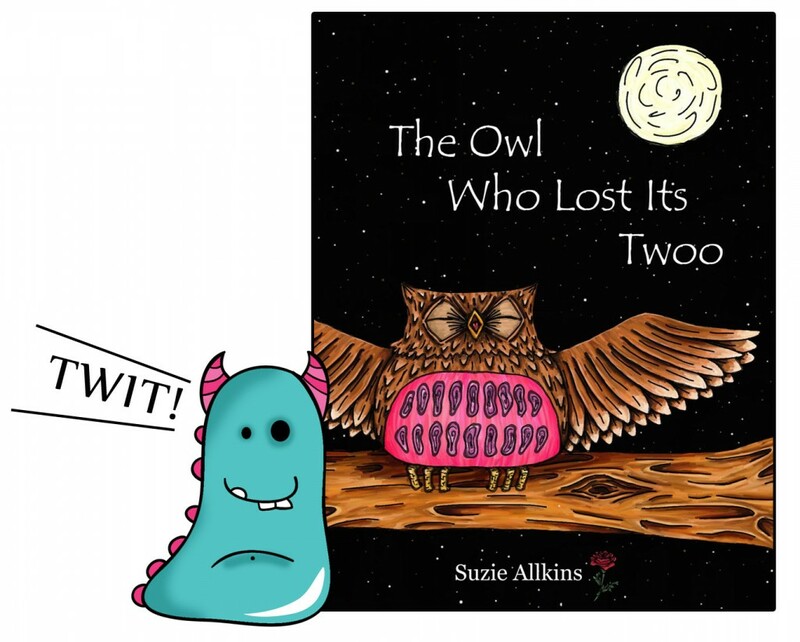 First up is The Owl who Lost its Twoo written and illustrated by Suzie Allkins. This is a very nicely done self published title about a young owl who has a little difficulty controlling his volume. Shouting out into the night and frightening and upsetting the other animals in the forest. Along comes the wise old wizard owl to teach Ollie a lesson by casting a spell and removing his “twoo”. It turns out that this is not the best of ideas as now the poor young owl flies around the night calling the animals “twit”. This is a lovely and funny story about speaking nicely, being careful what and how you say things. 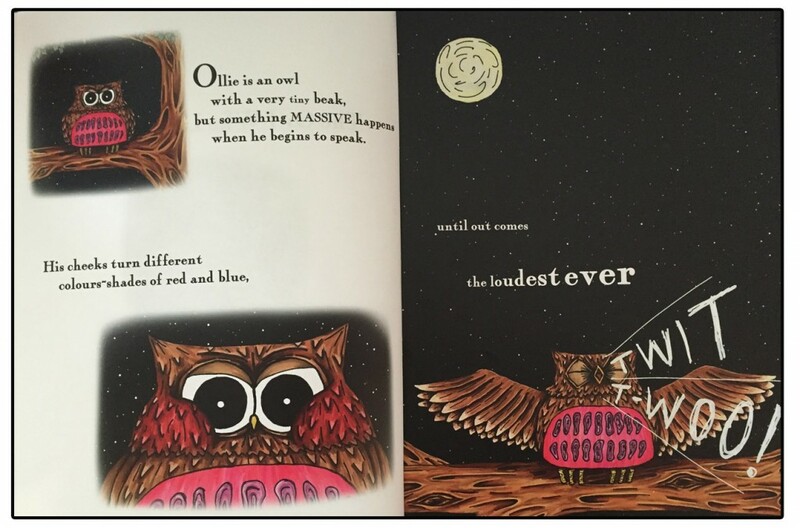 The Owl Who lost Its Twoo is beautifully written in rhyme, and flows really nicely. I enjoyed the fact that it is a slightly longer, more wordy picture book, so one you can really get into when reading out loud to children.There are repeated scenes in the book with different animals each time, which are great at emphasising the point and keeping young children engaged. But it is in no way boring or overly repetitive. Suzie’s illustrations are bright, so much fun and full of character and expression. Her fox has the wonderful sly and smart look, and Ollie, my favourite character of all pulls all sorts of wonderful faces. Just lovely. As well as just entertaining, I can certainly see many uses for this story within a classroom setting. It could be used for teaching about manners, being polite, and careful what you say to people. But it would also be ideal for covering the ever popular nocturnal animals topic. All set at night, it follows several night time creatures, so is a perfect fictional focus for teaching this subject to younger children. All in all, a lovely read, really nicely written and illustrated, and an ideal picture book for schools in particular. 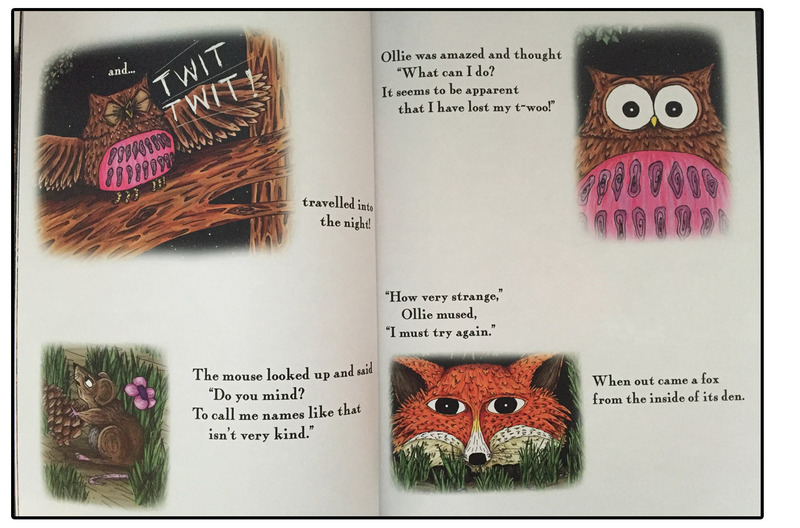 The Owl Who Lost Its Twoo is now available to buy from Amazon. Thank you for reading this very polite Book Monster review. Great review book monster Ally! This book looks lovely, I love the illustrations. 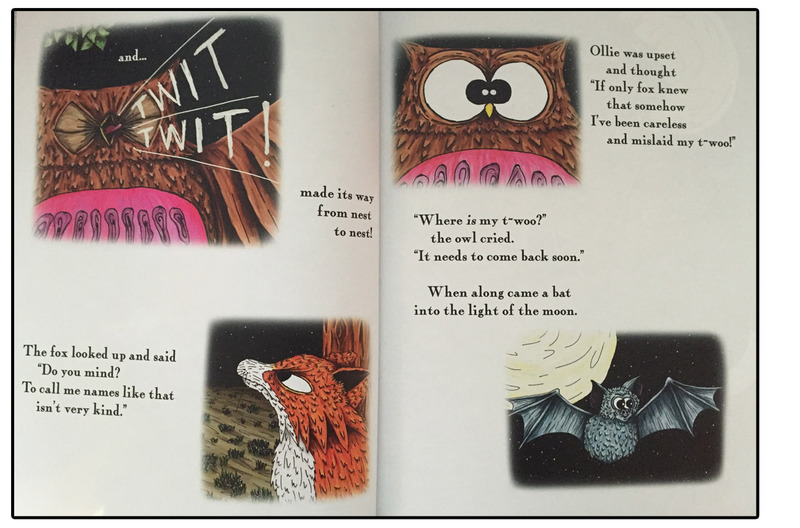 How refreshing to find a children’s book in clever rhyme that gives a very important message in a way that talks to and not at children, also with beautiful illustrations, my grandchildren love it. This book is beautifully written and illustrated! I bought it for my children for Easter, and they love it! It’s clever in the way it gives the message to children! A really lovely book!